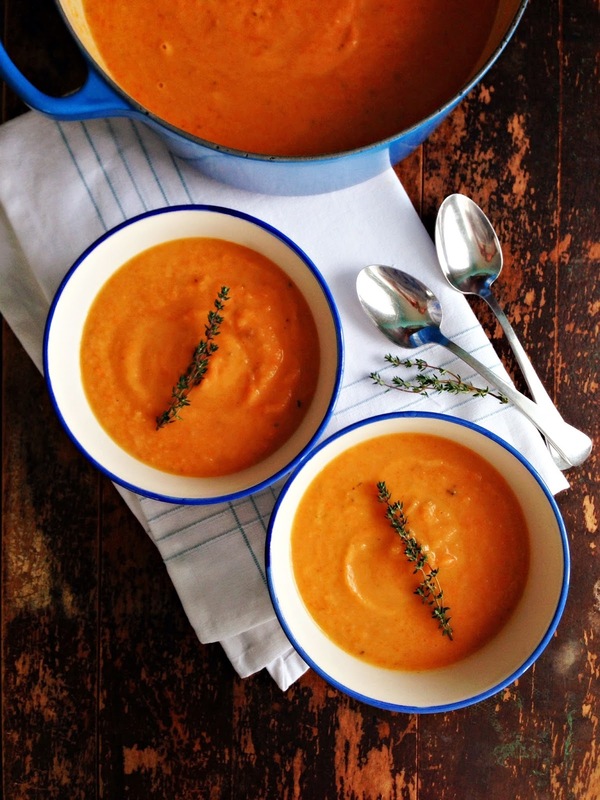 sweetsugarbean: Roasted Carrot, Parsnip & Thyme Soup from Brown Eggs and Jam Jars. Plus a Giveaway! I first met Aimée at a food blogging conference almost two years ago. Yes, she is just as sweet in person as she is on her blog. I felt like we were kindred spirits - we both lived rurally when young, we both spent time in the Yukon, both worked in professional kitchens, both love dearly to source out quality ingredients and grow our own food as much as possible, though Aimée does it on a much larger scale at her urban homestead just outside Montréal than I do in my little garden in Saskatoon. Brown Eggs and Jam Jars embraces seasonal, simple food with fresh flavours. Full of heart-warming stories as well as tips to get kids involved in the kitchen, this is so much more than a cookbook. It is a life's passion put into words and photographs. Congratulations Aimée. The book is a treasure, one I'll use time and time again. When asked to choose a recipe to include in the FBC Brown Eggs and Jam Jars Blog Tour it was like asked to choose your favourite child, or in my case, cat. 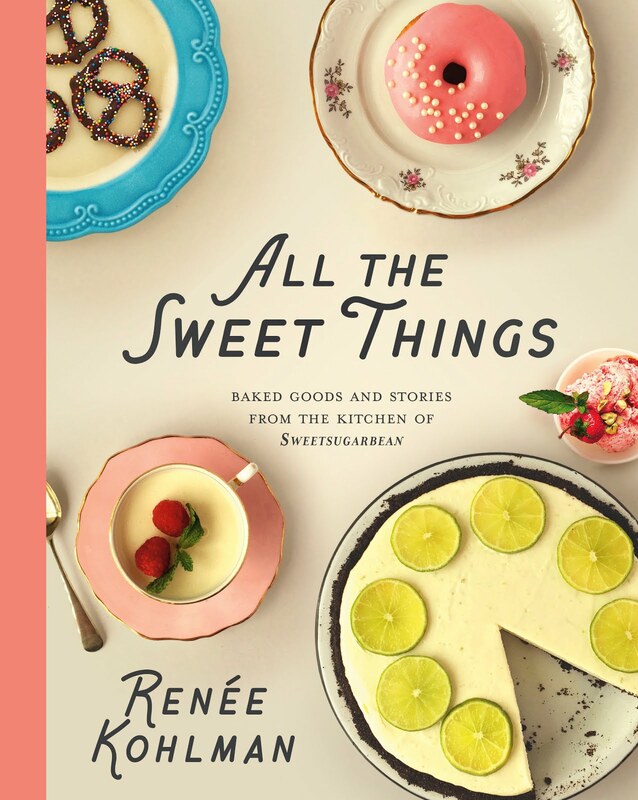 I pretty much want to cook all the recipes in Aimée's book, and in good time, I'm sure I will. I mean, what's not to love about Maple Pepper Glazed Pork Chops, Chocolate Croissant Bread Pudding, Blueberry-Peach Mascarpone Trifle or Cinnamon Shortbread Bars with Dark Chocolate Ganache? 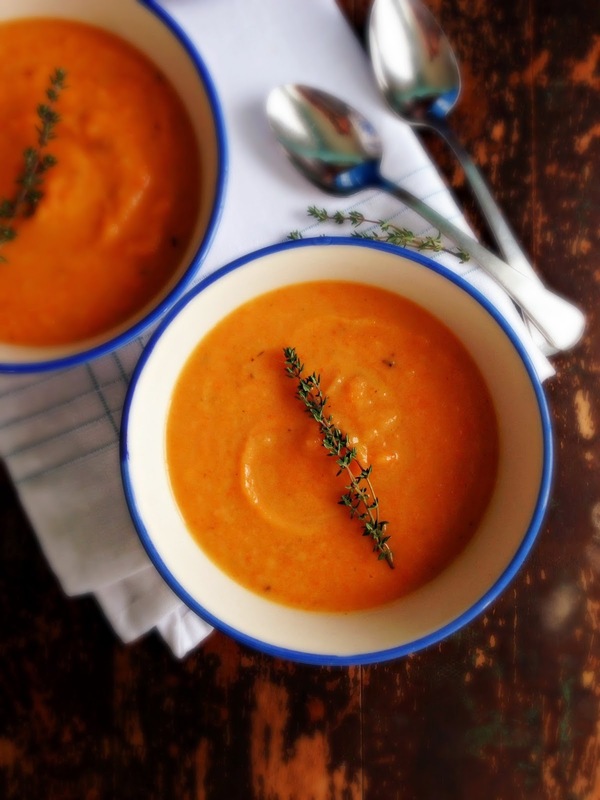 When I was flipping through the cookbook, what caught my eye when reading the headnote to Roasted Carrot, Parsnip and Thyme Soup was Aimée mentioning how she's not a fan of cooked carrots. That's another thing we have in common. I have a strong aversion to the boiled and buttered carrot. Perhaps it's a texture issue, or some other small neurosis of mine, but I do whatever I can not to eat them. But roasted and in soup, that's a love story waiting to happen. I was also intrigued to see how the parsnip would play with the other ingredients. When roasted, they too have an earthy sweetness and after snacking on a few today, I've resolved to eat more of this underrated vegetable. Seeing as I bought a jumbo bag of parsnips, I decided to make a double batch of soup to tuck away in the freezer for busy days ahead. I also have tremendous faith in Aimée's recipes and just knew this is one I would enjoy thoroughly. And I was right. The soup comes together relatively quickly. Carrots and parsnips are peeled and cut into coins. Tossed with fresh thyme leaves and olive oil, they roast until caramelized. While this is going down in the oven, onions are sautéed in olive oil then potatoes are added and chicken stock simmers it all. When the veg are roasted they are tossed into the soup pot and simmered away until tender. I used an immersion blender to purée it to a smooth consistency. A few swirls of heavy cream add body and richness and salt evens out the sweetness of the roasted vegetables. Simple. Delicious. Nutritious. Not going to lie - I ate one bowl full, then just a little more for good measure. Thank you Aimée for this recipe and all the others in the book. I hope our paths cross again - sooner rather than later! 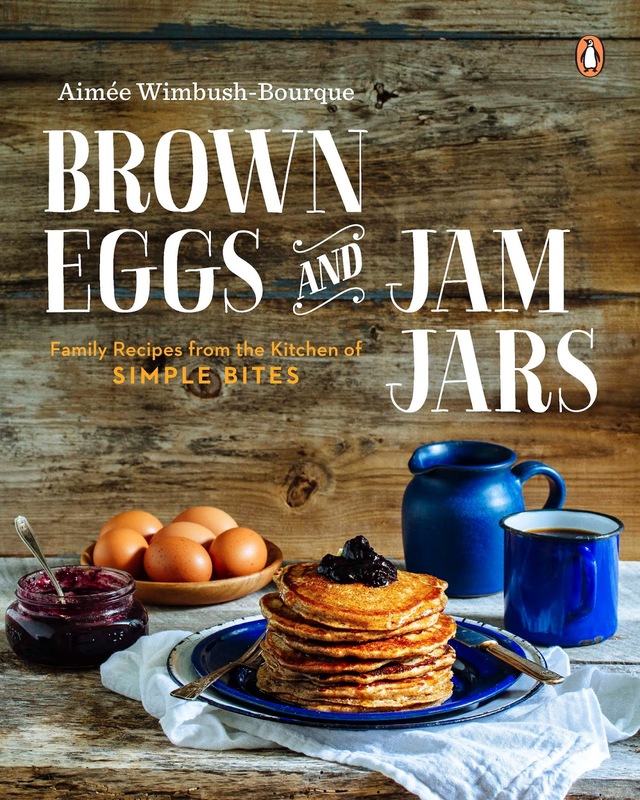 There are plenty of bloggers participating in the Food Bloggers of Canada blog tour celebrating Brown Eggs and Jam Jars. Be sure to check out what they have to say! 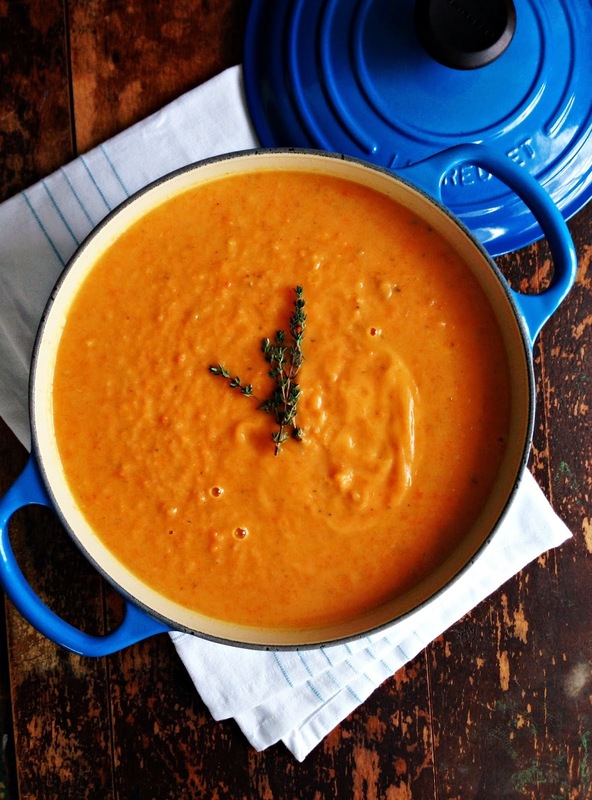 Plus they too are giving away a copy of Aimée's cookbook - be sure to enter there as well. For a chance to win, please leave a comment below telling me what your first cookbook was. Winner will be chosen at random on February 25, 2015. Good luck! Disclosure: Penguin Random House Canada Limited graciously sent me two copies of Brown Eggs and Jam Jars. I think my first cookbook was a vegetarian, Lebanese cookbook that my mom bought me when I first went veg! Woo.. that brings me back! I think my first cookbook was a Red Rose cookbook. That's great! I wish I knew how to get a hold of you if you win! My first cookbook was a Kinette cookbook. 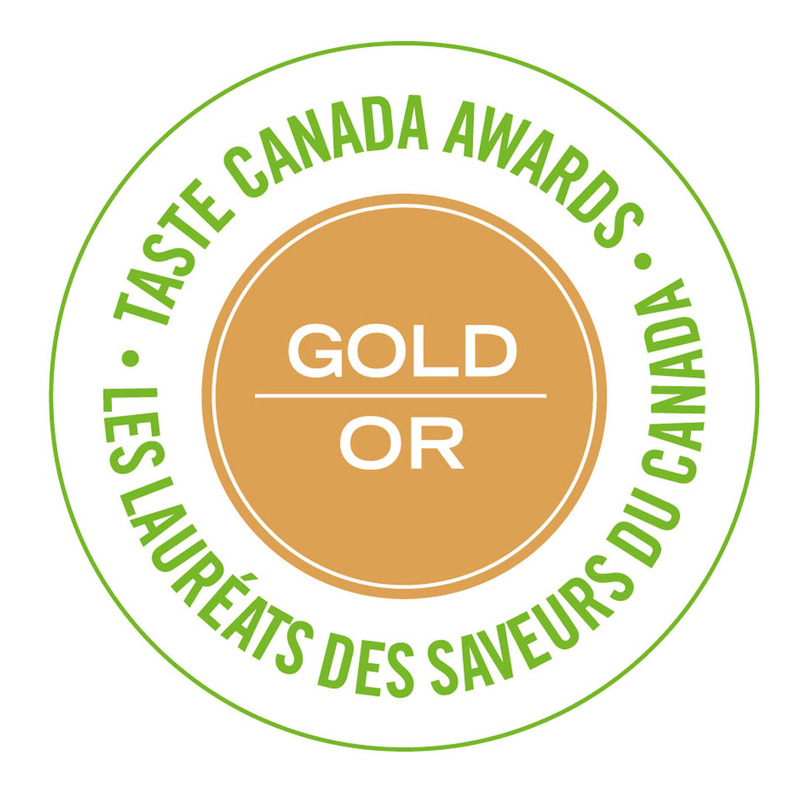 The recipes are from Kinette members across Canada. The front and back covers are missing, so I am not sure what the actual name is any longer, but I still use it. 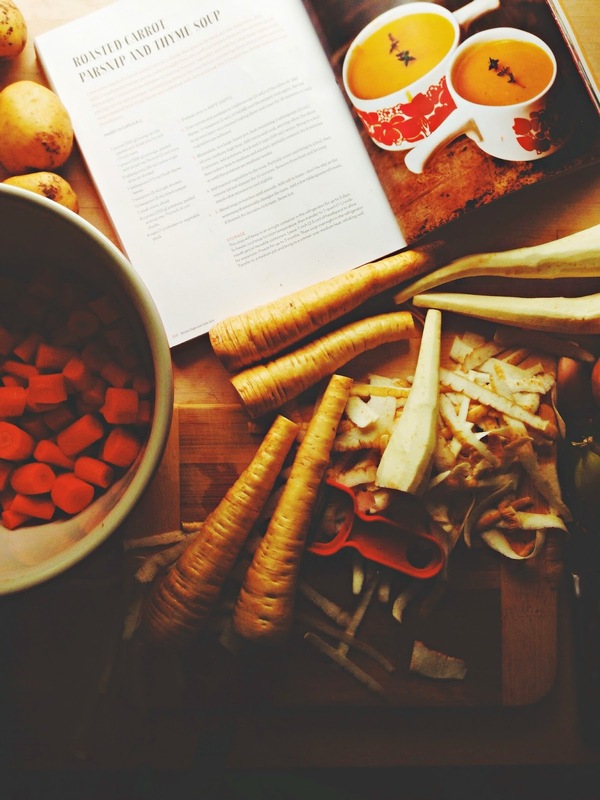 My first cookbook was one by Eating Well Magazine -- The Guide to Weeknight Cooking. I'm pretty sure it was the red Betty Crocker; that was a long time ago. I think the first cookbook I picked out and bought was The Silver Palate Cookbook. Still like it! My frist cookbook was "Betty Crocker Boys and Girls" Cookbook - and I still have it! My first cookbook was the Canadiana Cookbook,which my Mother bought for me. I think it was produced by one of the flour companies. I have it still out -- for sentimental reasons. My first cookbook was a copy of The Joy of Cooking (about 37 years ago). The info is good and I still use it for a few recipes. Pretty sure my first cookbook was the one my mom hand wrote recipes into as a high school graduation gift so I'd be able to cook all the family meals once I headed off to college :) something I intend to do for my oown kids one day. I believe my first cookbook was a Company's Coming cookbook - probably cookies! I loved that series of cookbooks and still have a lot of them! My first cookbook was the Better Homes and Gardens Cookbook from my mom - it was a staple in my Mom's kitchen, and she gave it to me as a gift when I moved out on my own. One of my first cookbooks was Paris Bistro Cooking. I love that it reveals the ambiance of Paris eateries, so takes my imagination one step closer to a city that I would love to visit one day. My first cookbook was 'Fun to Cook Book', put out by Carnation. My mother got it for me when I was a girl. One of the Company's Coming books my Mom had lying around, I believe. My first cookbook was a Hungarian children cookbook about how to make simple, delicious meal as a child. I think my first cookbook was the old Moosewood, or might have been the Joy of Cooking. Still have both many years later - btw, the thought of parsnips in soup in this cold weather has my mouth watering, I'm going to have to make some. I think it was a kids cookbook. I can't remember the title, but I remember there was a recipe for hamburgers in there, with faces on the patties, made out of veggies I think... I wonder if I still have it somewhere. A Five Roses cookbook which I still use after about 35 years! Other than the local church cookbooks, my first cookbook was "Extending the Table, a world community cookbook" - which is actually a lot like a church cookbook - only from all the corners of the world! I love it still! BTW, thanks for the links to all those other Canadian blogs! My first cookbook was the Big Red Cookbook from Betty Crocker..still use it! My first was my Mom's Betty Crocker (from the 1980's) It's torn and tattered, but its mine and I love so many of the recipes in it! My first cookbook was given to me by my mom just before I went to university (clearly she was afraid I couldn't cook!) called One Pot Wonders. I still have it! My first cook book was from my Grandmother. It was a collection of hand written recipes from my Great Grandmother as well as my Grandmother. My first cookbook was a hand-me-down.... One of the Company's Coming series. My first cookbooks were a small collection of "just for kids" cookbooks that had kid doable recipes (with supervision but not much direct help)! So many great responses! Thank you all for entering! The Joy of Cooking was gifted to me when I moved out to go to university and was my very first cookbook. I still have (and use) my first cookbook. It's a 40yr old copy of The Betty Crocker's Cookbook. My kids get a kick out of thumbing through it. It was a Mickey Mouse baking book for children. I still have it somewhere, and look forward to pulling it out with my own littles some day! My first cookbook was Joy of Cooking by Julia Child. It was given to me as a birthday gift! The first cookbook that I bought was Macarons by Pierre Herme! After that the cookbooks started coming! My first cookbook (that was mine and not my parents') was The Complete Harrowsmith Cookbook. It's still one of my favourites. My 1st cookbook was one from Gordon Ramsey Home cooking collection. My first was "A Year in a Vegetarian Kitchen"
I'm sure that the first cookbook I ever looked pored over was a church cookbook from the early 1980s. My first cookbook was one about pasta. My first cookbook was a Gingham Cover Bettey Crocker Book given and inscribed to me by my great grandmother when I was under 10. I still have it. I don't remember the name, but it was about cooking in your dorm room. My first cookbook was the Five Roses A Guide to Good Cookimg. I use it regularly still. In fact I used the butter cream (mocha) frosting for my son-in-law's birthday cake. Another family favourite is the Chocolate Coconut Drops recipe. We lovingly call them Diddles. I gave my two daughters each a copy when they got married. Perhaps this cookbook inspired my daughter Christina Austin to create her food blog 'Strawberries For Supper'. So long ago, but I think it was The Joy of Cooking. My first cookbook was some random one geared toward kids. I don't remember the title, but I remember my favorite recipe was volcano potatoes (mashed potatoes with cheese "lava"). First? I am not sure, probably a vegan cookbook. Most favourite: "Recipes for a small planet" my mom's old cookbook, missing a cover and very well used. Thanks for all of your wonderful comments! I love seeing all of the cookbooks mentioned. Mine was Enchanted Broccoli Forest, by Mollie Katzen. I put it to good use in University! Thanks for entering the contest, and the winner has been notified.